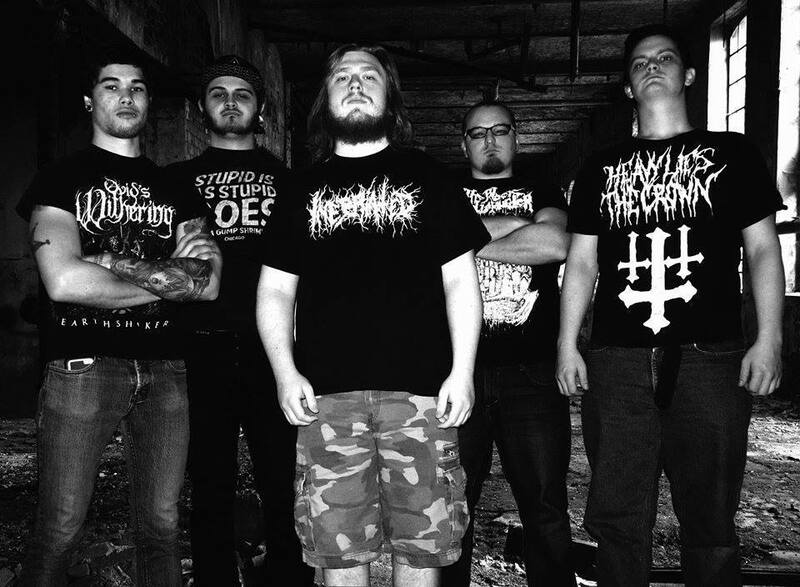 From Lansing, Michigan arises Aphotic, a death metal band relatively new in the scene, originally formed under the moniker of Betray the Prophet in 2011 with a sound a little bit more oriented into the deathcore, as you can listen in themes as "Carnivore" and "Usurping the Throne" which were included in Aphotic debut album "Within Darkness" released independently few weeks ago, the recording consists of an intro, an interlude and eight full tracks, lasting about thirty-two minutes of brutal and degenerated death metal. 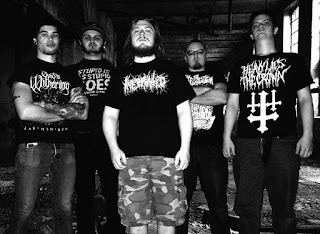 Aphotic current line-up it's integrated by guitarist Nicholas Holbrook, vocalist Bryan Rohroff, guitarist Alex DeRose, bassist Julian Hendrickson and drummer Michael Weber, all of them since the beginning as Betray the Prophet, their sound seems to be influenced from a wide variety of bands and genres as The Black Dahlia Murder, Cannibal Corpse, Lamb of God, Slipknot and Behemoth to mention few bands. "Misanthrope" it is the intro track that opens this album kicks in with an acoustic guitar work and hellish winds, while a post apocalyptic broadcasting announcement it's playing in the background, "Manifesting Depravity" opens with some keyboard notes that turns into filthy and aggressive riffs, gifted with some breakdowns and some nice bass work, "Carnivore" sounds very heavy and raw the relentless blast beats owned from the beginning, while the throaty vocals spits the most visceral and disgusting lyrics, "Usurping the Throne" sounds dark due to the down-tuned guitars and tremolo picking well backed up with an exhaustive blast beats and gargled vocals, it is followed by "Rameses" kicking in with a corrosive riff in the beginning, as well as how the track moves forward, they deftly interweave a variety of death riffing and well mixed torn vocals, the next track "Interlude" it consists of intangible noises in the distance, "Decomposed and Copulated" structured with some pagan ambiance in the background allows to reverberate with a great rhythm section, "Extracting the Parasite" arguably is the living proof of early Cannibal Corpse work in Aphotic sound "Desensitized" is fast and brutal blackened death metal undoubtedly meaty riffs and blistering drum pattern, leads to the closing track "Within Darkness, I Depart" it infuse the track with a dark and evil tune, powerful growl vocals combined with blackish snarls and gore backing vocals, practically the attention lies on vocals, the drumming is faultless and consistent. 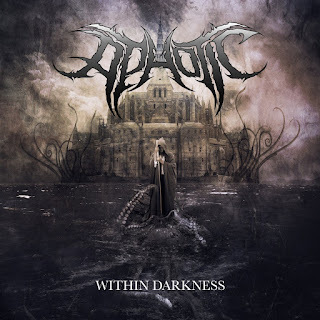 Aphotic has delivered a very persuasive debut album, appealing their most brutal and sick side, the songwriting is average and delves in a wide variety of elements as influences, the production in some parts is to raw and lack of sharpness, losing from time to time the instruments during the mixing and mastering, I believe most of the tracks included here, were composed during the Betray the Prophet era, very recommendable for fans of brutal death metal, deathcore and technical death metal.